Ever dream of traveling to South America, with all its wonder and mystery, there are many interesting place to visit on the continent, like Argentina with its fabulous culture, wonderful cities and the fabulous Iguassu Falls, or Ecuador and the Galapagos Islands or why not Bolivia for the true South American Experience. But without a doubt, Peru would be the most interesting country in South America to visit. Full of interesting ancient Inca sites, Peru should be on every ones bucket list. In the Cusco region of Peru, there are many interesting ruins in and around the fabulous Inca city to explore and enjoy. If Peru is on your bucket list you must also visit the many other marvelous destinations that Peru has to offer, along with of course the Inca citadel of Machu Picchu. Cusco Peru tourism is one of the most visited places in South America, with thousands flocking to the high Andean city each year. 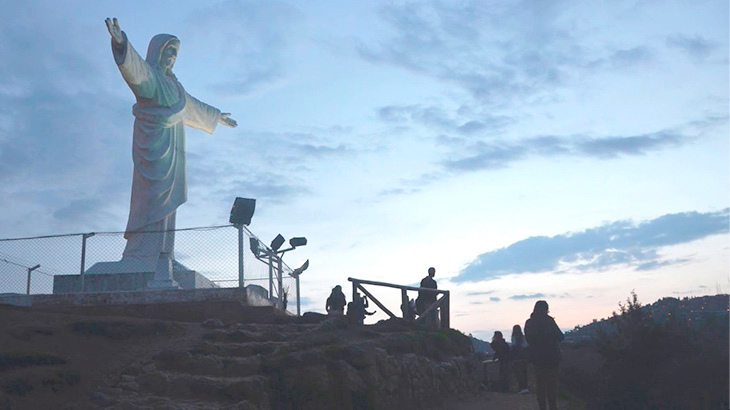 Arriving into Cusco is easy with many flights from Lima and Arequipa daily. If you wish to travel overland then there are buses and trains from which to choose. When you travel to Cusco it is a great idea to do a City tour of the Inca city, there are many variations from budget to luxury and group or private tours. You can buy these tours online or from an agency in the Plaza de Armes in Cusco. 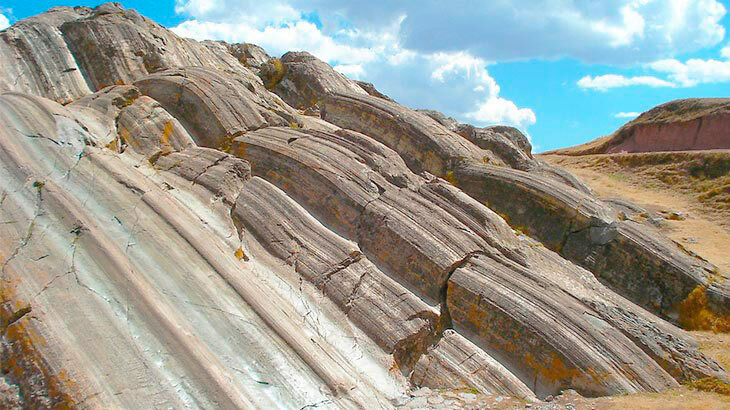 Whatever way you decide to do your tour, you will visit the Sacsayhuaman Fortress. 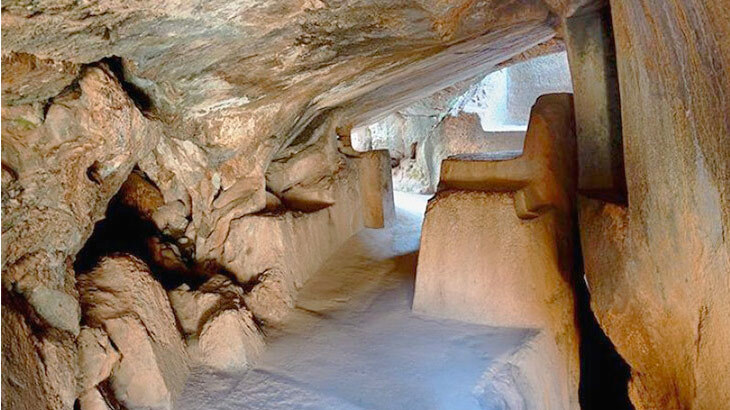 To give you a brief history, the victorious Inca Pachacutec decided to expand the city of Cusco in the 15th Century. He wanted to give the city the shape of a Puma, which was a symbol of power in the Inca culture, so Sacsayhuaman was built as the head of the Puma. The fortress is an Inca masterpiece with many of the blocks measuring around four meters and weighing over a hundred tons. Legends say it took twenty thousand workers to build the fortress. Built with no mortar, the stones fit perfectly and are earthquake resistant and the ruin remains today an imposing site above the city of Cusco. The ruins consist of three big parallel walls zigzagging together for four hundred meters, designed to ward off any attacks on Cusco city. The outer walls are made from massive diorite blocks and the inner temples were made from an andesite stone bought from many kilometers away. Sacsayhuaman played a huge part in the final defeat of the Incas by the Spanish. Arriving in 1533 the Spanish walked in and easily took the city from the Incas. A few years later the Inca King Minco lead a rebellion and took back the fortress, but the Spanish eventually took back the fortress defeating the Incas in what is said to be a blood bath for both the Incas and the Spanish. If you decide to not take a city tour that includes Sacsayhuaman Fortress, take a taxi or bus from Cusco City. On the ride to the ruin, you will have wonderful views of the city, located in the valley below. Once you arrive, the ruins are located on the top of the on top of the valley on a wide-open space, perfect for a nice peaceful rest on a nice sunny day. On a city tour, you will have a guided tour of the site, giving you all the history and legends of the fortress, giving you time to get all the great photos you need. 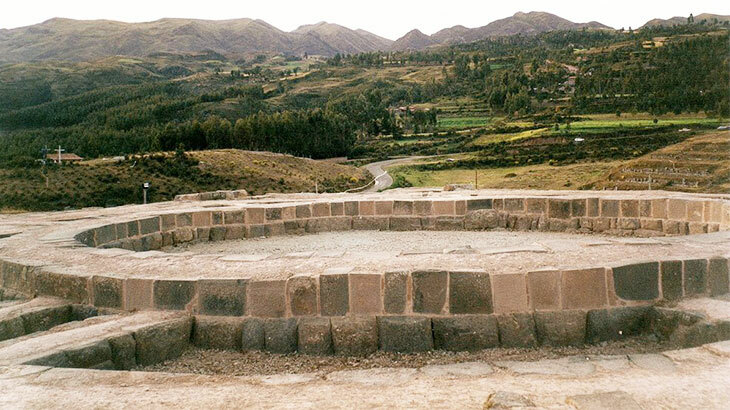 In Inca time, the site was used for many Inca ceremonies and this remains the case today. Every year in June the Inti Raymi festival finishes in Sacsayhuaman with a grand ceremony complete with actors dressed in colourful costumes playing the Incas. 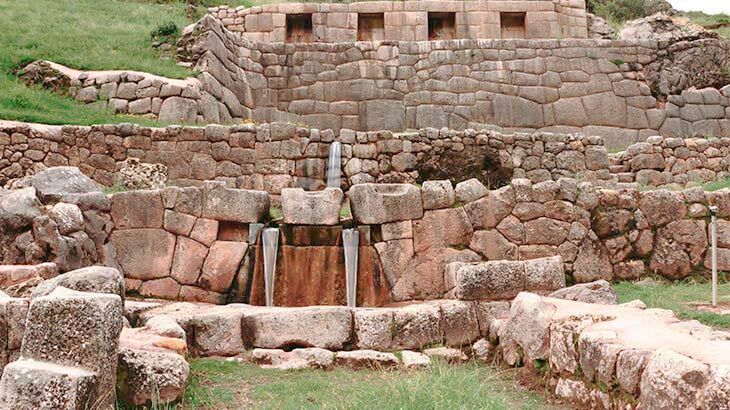 While on the tour you will also visit, the three other amazing ruins located close to Sacsayhuaman. The first being Qénko, this temple features the finest examples of Inca carving found. The ruins have a series of channels believed to be used for running Chica (Inca beer) past the Inka priests, so they could make important decisions. Next, you will visit Puca Pucara, located on the hill behind Sacsayhuaman, is believed to be a guardhouse or control for people coming and going from Cusco and the Sacred Valley. Lastly is Tambo Machay, this ruin is often referred to as the Inca Baths, it was a site for bathing, but not for the common man but for nobility, who used the site for important ceremonies. Featuring three tired platforms, the first featuring seat, the second a natural spring, the last was believed to be the actual cold shower. 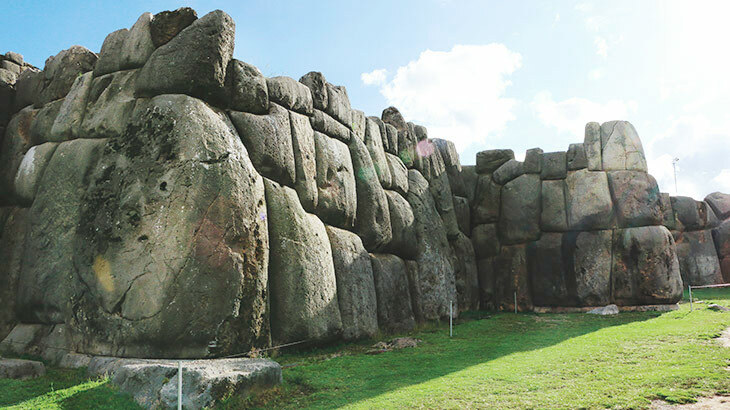 When visiting Peru on your Peru vacation do not forget to spend time at Sacsayhuaman, feel the history and mystery. 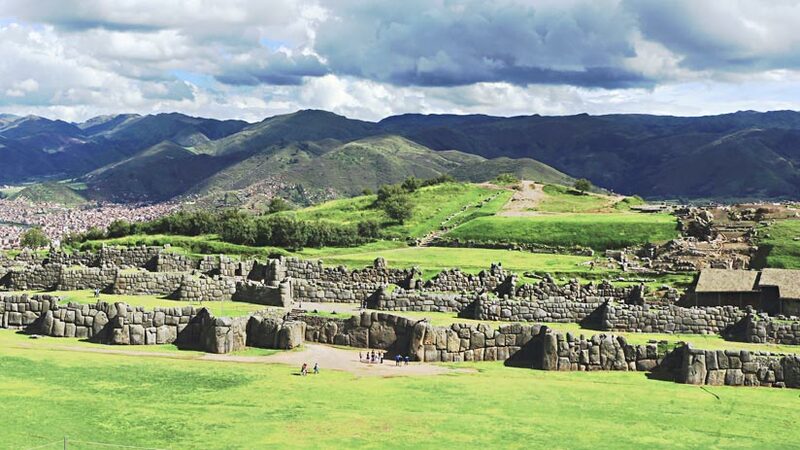 Learn about the wonderful Incas, marvel in the beauty of Sacsayhuaman, enjoy the views of the surrounding mountain and take many photos of Cusco from this wonderful vantage point. Cusco city itself is worth spending many days exploring. Featuring many great museums to get an idea of the Inca history. Full of great nightlife and many great restaurants to rival Lima. Do not worry there are also many vegetarians restaurants in Cusco if you do not eat meat. Therefore, what are you waiting for book your Peru vacation today. Luxury Travel, Travel To Peru culture, cusco. permalink.